Technology Training - SysNet Solution Inc. Looking to become Microsoft Certified IT Professional(MCITP). We are the leading provider of Microsoft technical training. Our course are 100% hands on to ensure students learn the skills needed in the real world and the skills needed to pass the Microsoft certification exams. Earning a Microsoft Office Specialist certification can help you immensely in today's competitive job market, broaden your employment opportunities by displaying your advanced skills, and result in higher earning potential. Microsoft Office Specialist certification can also lead to increased job satisfaction. Research indicates that certified individuals have increased competence, productivity, and credibility with their employers, co-workers, and clients. Whether you want to drive your career or increase your productivity on the job, earning the Microsoft Office Specialist (MOS) certification demonstrates the valuable expertise you need to succeed. Growing travel costs and the ever-increasing need to communicate with speed and convenience, the use of Internet technologies for delivering training has risen dramatically. The phraseology of this training practice differs (e-learning, online training, virtual classrooms, etc) but the practice is the same - delivery of training content via remote presentation technologies. Our Trainer can fully train you with a customized curriculum that focuses on exactly what you want to learn, while in the comfort of your own environment. Learn how to utilize all features of the software that can help you become more productive and save time, including tips and tricks that help you cut corners and maximize efficiency. The CCNA certifications is one of the most popular certification in the networking industry. The Cisco CCNA certification validates the ability to install, configure, operate, and troubleshoot medium-size routed and switched networks, including implementation and verification of connections to remote sites in a WAN. As a Cisco training partner SysNet Solution offers numerous training options to the Network Proffesional. SysNet Solution is your "one stop-shop" to meet all of your Cisco CCNA training needs. Whether your area of Cisco expertise is in the field of Routing & Switching, Security, IP Telephony(VOICE) or Wireless, we have you covered. Training and certification is essential to the Network Administrator, and our programs are designed to get you there in the most time and cost effective manner available. Receive extensive lecture and lab time, along with effective test-preparation and testing best practices. Our total CCNA Training experience includes of the below features. 40 hours of instruction & test prepartion. Get Hands on Training with Cisco Equipment. Get instruction from World Class Instructors. State of the art training facilities. Subnetting Variable length Subnet Masks(VLSMs), and Troubleshooting TCP/IP. Enhanced IGRP (EIGRP) and Open Shortest Path First(OSPF). Layer 2 Switching and Spaning Tree Protocol(ISTP). SysNet Solution technology training is all about you. Individual learning paths bridge the gap between the skills you already have and the skills you need. One-on-one support and coaching from a certified instructor increases your ability to comprehend, retain and apply new knowledge. Flexible scheduling allows you to schedule training around personal and work commitments. 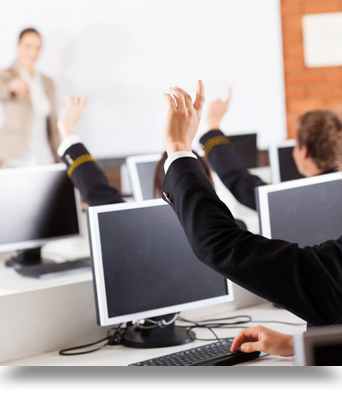 At SysNet, we have over ten years of developing the cutting edge of learning technology as a top training company.